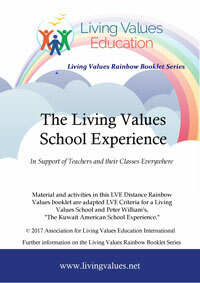 Adding a new dimension to Values Awareness is the Living Values Rainbow Library providing activities and aids for everyone - School Teachers, Care Givers, Parents, Facilitators, Individuals, Special Interest Areas; Living Values for Self And Community Development. 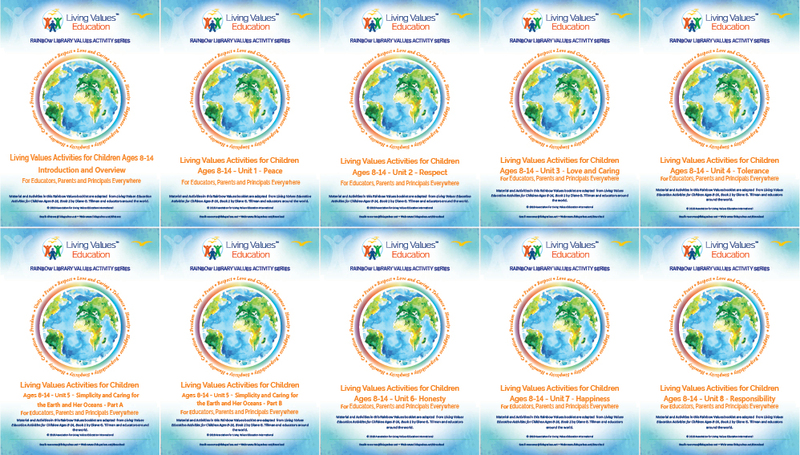 Created specifically for those desiring to share Living Values activities and who do not have access to our formal values print resources or access to Living Values Associates and Trainers. These simple booklets, most with between 48 – 56 pages, can be photocopied for classroom or home use in "booklet" A5 form – i.e. regular A4 folded (to half size) and stapled. "Living Values Home Study" and accompanying "Personal Journal" booklets are more than 80-100 pages and required to be copied as A4 (full page) on both sides. This series will be continually expanded to meet needs. Distance Home Study - A colourful 52 page participation book of activities, adapted from Living Values Activities for Young Adults. Distance Home Study Personal Journal - A 97 page book will help you record each of the activities and give you something to look back on. Distance How to Study Groups for Hosts - A guide, for convenor/host, to managing an effective group activities. 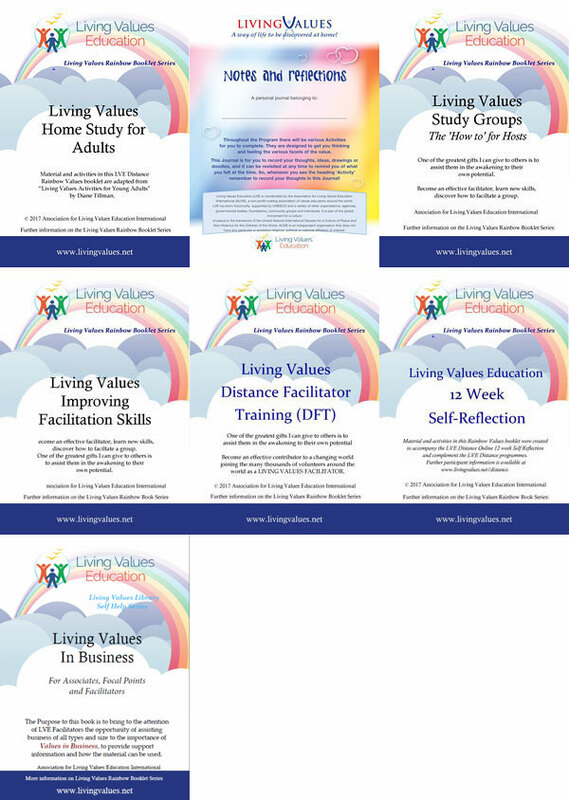 Living Values Education Facilitator Training Guide - This 20 page guide delivers all the techniques and skills required to feel confident to facilitate Living Values Education activities and workshops using these materials with community groups, schools, families etc. The guide provides professional advice, recommendations as to how to be a successful facilitator, something quite different from a teacher, in that a facilitator draws out while a teacher puts in. Living Values Improving Facilitation Skills- Become an effective facilitator, learn new skills, discover how to faciltate a group. One of the greatest gifts you can give to others is to assist them in the awakening to their own potential. 12 Week Self-Reflection - A booklet for developing your personal values. Discover deeper insights leading to new positive attitudes and behaviour patterns. 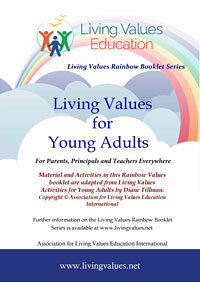 A standalone interactive, online or offline values programme.